The hectic lifestyle of modern society is fast-paced and many times stressful. As we struggle to keep on top of everything, we are often left feeling drained, overwhelmed and disconnected from the important values in life. Our basic needs today though are the same as they always have been. We still need to be seen, appreciated and to connect in a meaningful way with each other. To be emotionally close, to be cared for and care for others and to love. 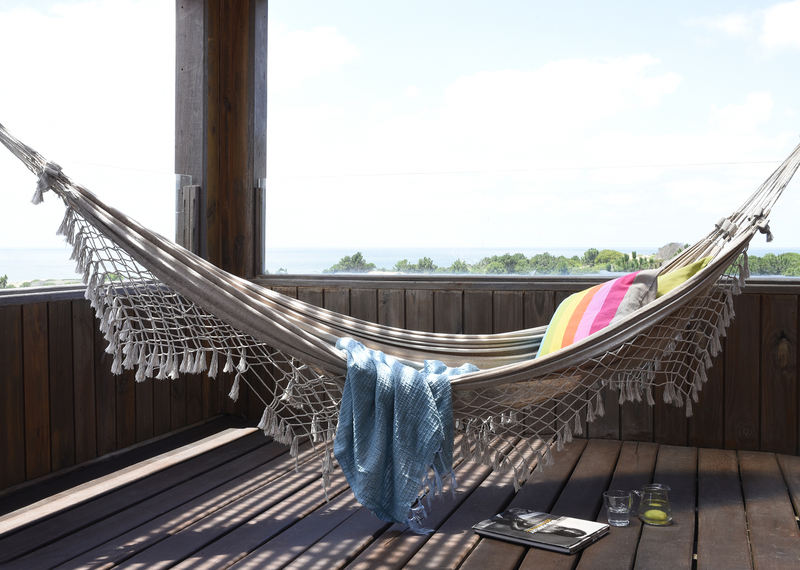 Is it possible to step back and create a lifestyle that has a more relaxed and leisurely pace, in able to achieve a peace of mind and happiness? Can our homes help us with this? Several of the homes in the book Home Life Around the World reflect a lifestyle known as “slow living”. Slow living emphasizes a slower approach to aspects of everyday life and started with the slow food movement as a reaction to fast food. Well-being, simplicity, a sustainable lifestyle and consciousness are some of the qualities that define this lifestyle. “Slow down and enjoy life. It’s not only the scenery you miss by going too fast – you also miss the sense of where you are going and why.” Eddie Cantor. Quietness is a quality that’s hard to find in our cities today and can be regarded as a luxury. For architect Nicolás his need of silence is very important. 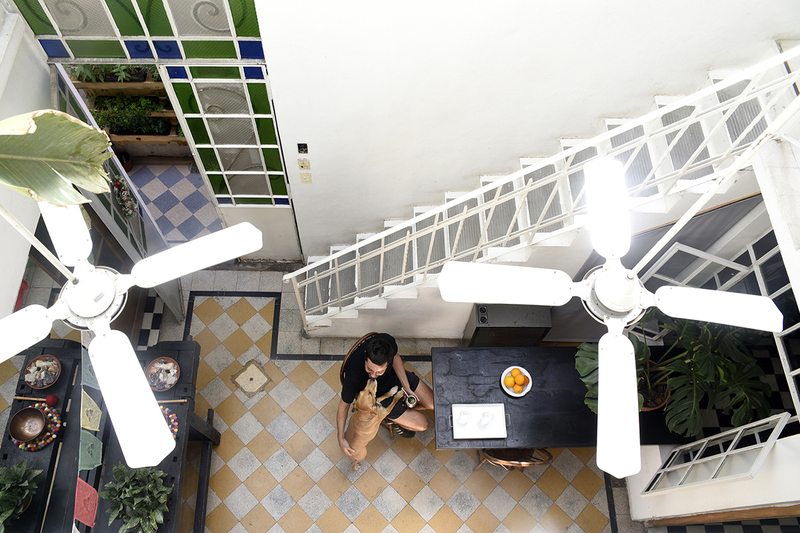 He is fortunate to live in the centre unit of a PH house, an architectural style of house typical for Buenos Aires, that extends horizontally and inwards toward the centre of the block. Inside his house it’s extremely quiet and there isn’t a hint of the bustling city outside. Cecilia achieves equilibrium in her life by creating visual quietness in her home. 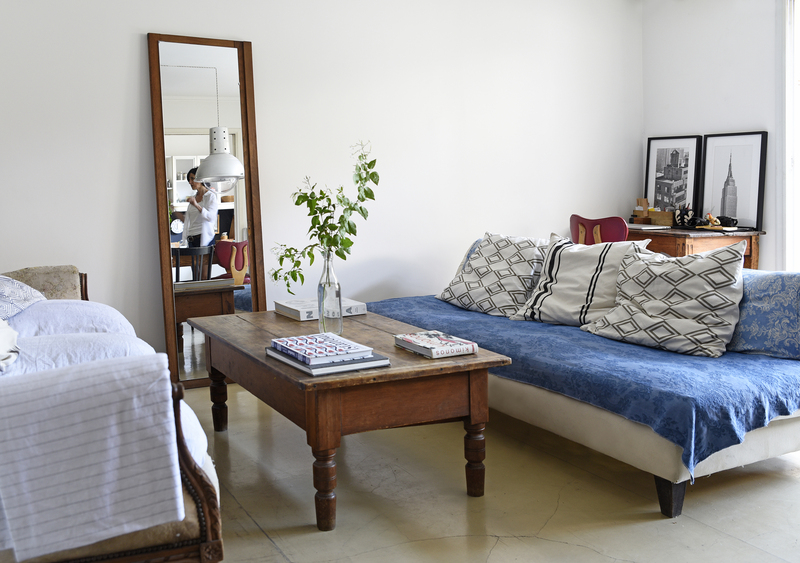 In order to unwind from her work as a photographer and her store of homeware products, a place she describes as busy and chaotic but stimulating, she needs the bare white walls of her home and few but much loved items of furniture and decoration. “Both of them have the contrasts that I crave, chaos and calmness”, she clarifies. She loves the tactile feel of a rough tabletop or the soothing feel of the textile cover of a coffee table book. When at home she enjoys ordinary day-to-day tasks like cooking and watering plats. Tasks that make her relax and connect with herself. “My home is a place where I nurture my soul”, she says. 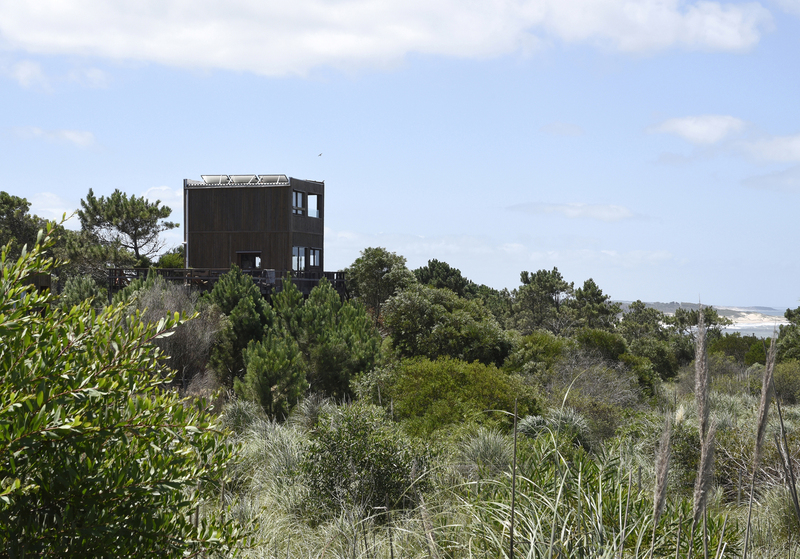 A home that also reflects the slow living concept is Rosi and Martin’s off-the-grid house ‘Via Verde’ on the coast of Uruguay, close to Brazil. This house is a ‘passive house’ and they built it themselves. A passive house is a standard for energy efficiency that reduces the ecological footprint. Rosi from Argentina and Martin from Spain, met in Buenos Aires, where they both worked as journalists. After a stint in London they knew that they would return to South America one day and start a family in a natural environment. They wanted to create a sustainable project and to be able to be together as a family on a daily basis. “You had an idea to live in a more sustainable way and to live off-the grid in harmony with nature. But did it also include the idea of community living?” I ask, because this is large house with many bedrooms. Rosi and Martin rent out rooms and people come from all over the world to stay in summertime.